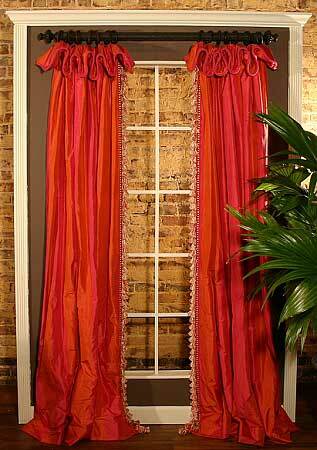 These classy curtains are great to use as decorative side panels. They are non-workable and each side panel covers about 14-18” of space. The side panels consist of 1-1/2 widths of fabric each. Trim can be applied to the leading edge of the panels, if desired. Instructions are included for applying a small covered piping along the edge of the floppy top. 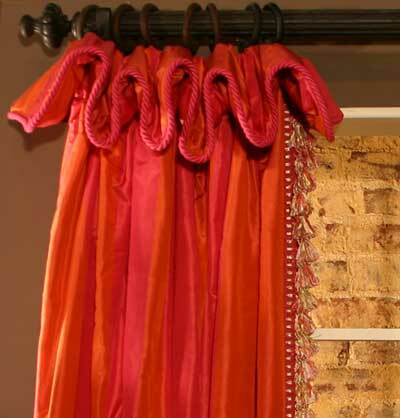 Q: CAN I ORDER THIS CURTAIN IN THIS COLOR FABRIC SHOWN PINK AND ORANGE 98 " LONG ? Q: How much fabric is required for one panel?